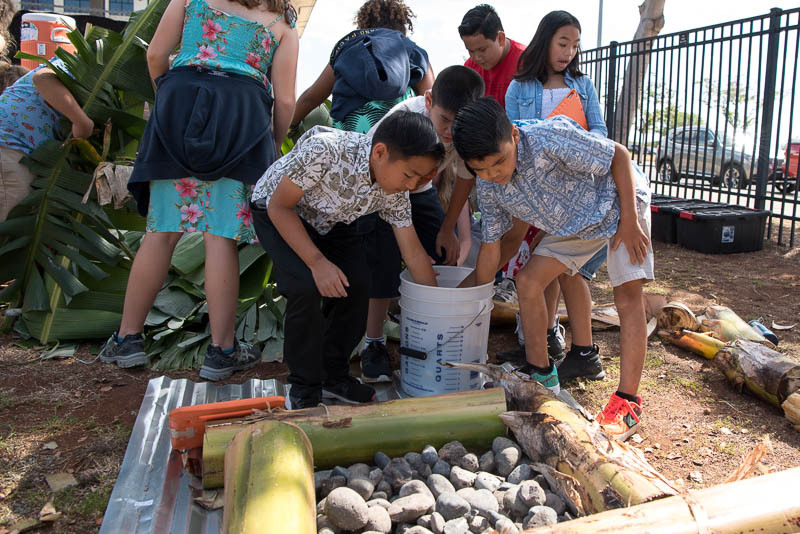 The Grade 4 students wrapped up their project-based learning (PBL) integrating units on Hawaiʻi/Hawaiian Culture and Business/Finance with their inaugural Grade 4 Luau. The luau was conceived as a business venture, completely planned and organized by the Grade 4 students. To start, the students defined and organized the needs of the business into various committees, including Leadership, Marketing, Finance, Food, Entertainment, and Decorations. Then, just as with a real business, each student was required to apply for the job of their choice. The application process was authentic. Each student applied for two positions by completing an employment application. Once their applications were submitted and reviewed, the students were invited in for an individual job interview with either Steve Ross, Elementary Principal, or Katherine Jones, Elementary Sustainability and Innovation Coordinator. 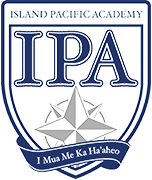 The students were prepared for what to expect by IPA’s Director of Human Resources, Camille Pinard. She provided them with tips on how to prepare and conduct themselves effectively and professionally in a job interview. The students took the tips to heart, as many arrived at their interview with letter of reference in hand and greeted their interviewer with a handshake and eye contact. The students were poised throughout their interviews, confidently answering questions pertaining to their desired job position. “In being able to interview for the Committee positions, the students were able to not only have a real-world experience, but they were also able to really showcase themselves by sharing with with us their individual strengths during their personal interview,” explained Jones. With the hiring completed and committees formed, the students created action plans for their responsibilities for the luau. The finance committee members developed a budget and determined how to meet their fundraising goals based on ticket price and projected sales. They worked with Accounts Receivable Manager, Lisa Dalida, who helped them with the financial aspects of the event. The marketing committee designed flyers with order forms, which were advertised around campus and sent home in Friday Folders, and created and printed the tickets for the events. Students on the entertainment committee were responsible for the performances during the dinner show, from choreography and music to lighting and production. And the decorations committee members worked on gathering decorative greenery prior to the event and putting together the floral arrangements, hanging the streamers, and blowing up the balloons on the day of the luau. 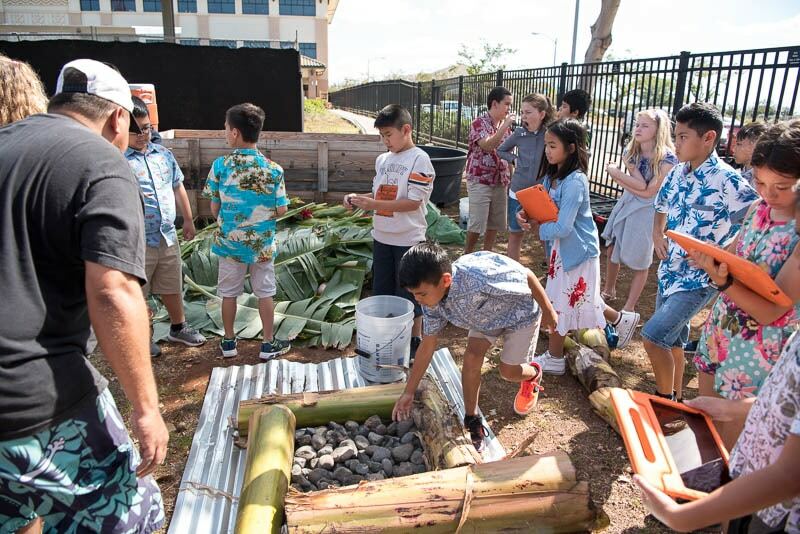 The students also learned about Hawaiian and Polynesian culture, food, and cooking techniques in their preparation for the luau. 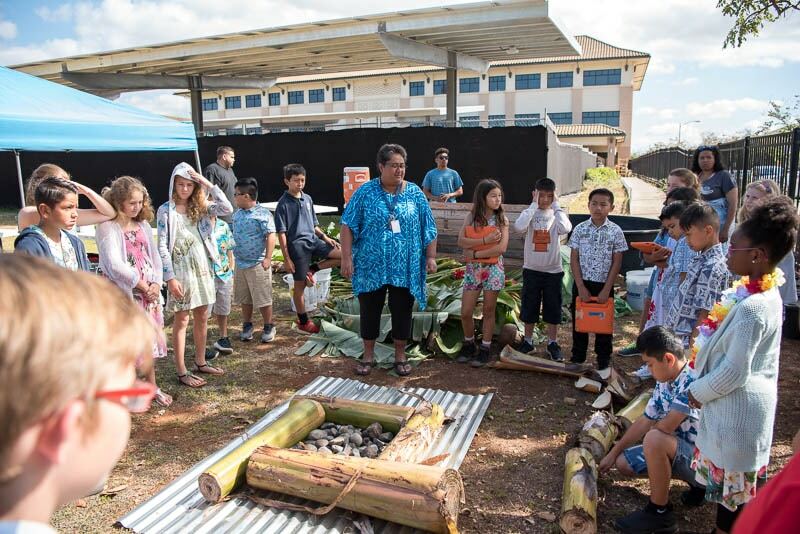 Under the direction of Sa’o Faulkner, Grade 4 teacher, and her family, the students constructed an umu, or an above-ground imu, on the Big Field, which was used to cook traditional Samoan foods for the luau guests to sample. 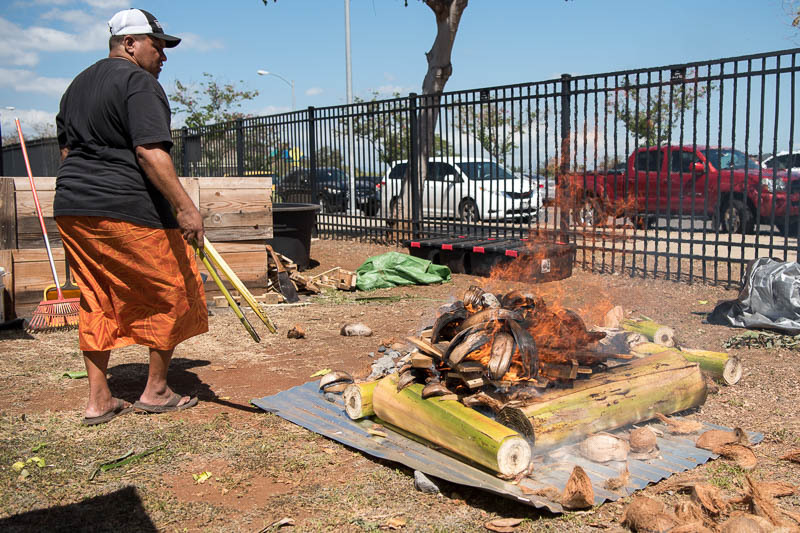 The students helped to create the umu frame of banana tree trunks, fill it with river rocks, and cover it with wood pieces and coconut husks to set on fire. After the combustible materials had burned away and the heated river rocks were ready for cooking, Ashley Faulkner and his family placed the foods to be cooked on the hot rocks. Everything was covered over with banana leaves and other greens to trap in the heat, and the whole umu was covered with wet canvas to seal it during cooking. Everyone at the luau had a chance to sample baked taro, banana, sweet potatoes, palusami (taro leaves with coconut cream), faiʻai pilikaki (canned mackerel with coconut milk), moa (whole chicken), and luau puaʻa (pork with taro leaves) cooked in the umu, in addition to their luau plates of kalua pig and cabbage, laulau, rice, salad, haupia, and a drink. 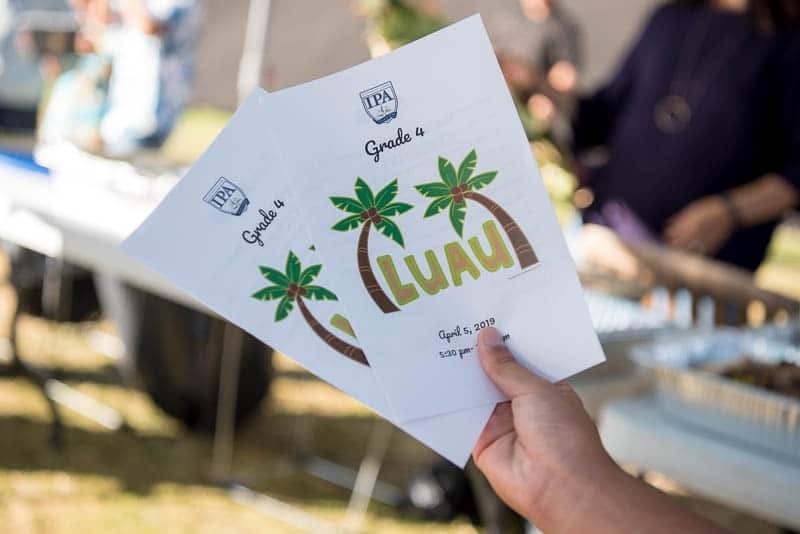 Nearly 200 tickets were sold for the luau, and the proceeds from the event will go towards learning trips for next year’s Grade 4 students. The Grade 4 Luau program created by the Marketing Committee. Grade 4 students learn how to construct an umu. Grade 4 students help to build the umu. The umu burns to heat the underlying rocks for cooking. 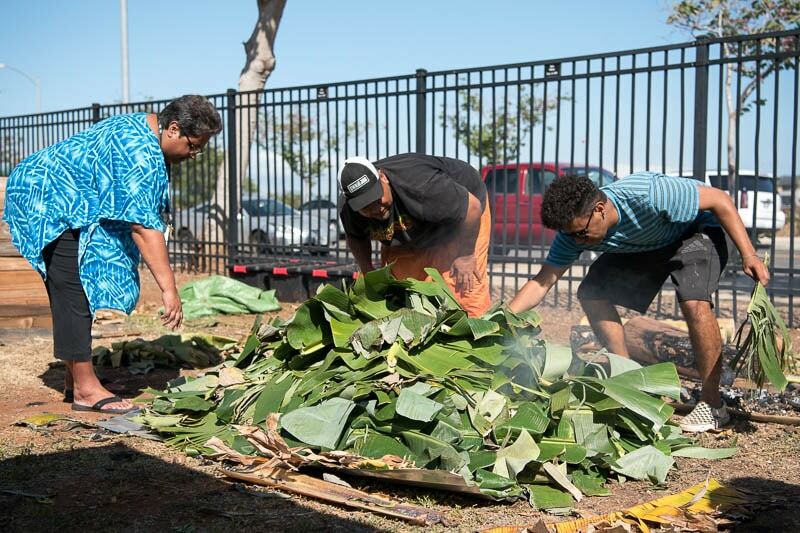 Saʻo, Ashley, and their son cover the food with banana leaves to insulate the umu. “Slack Key” by Mikejames 718 is licensed under CC BY 3.0.